If you've frequented thrift stores or garage sales, you know that globes of the world could almost make up an entire planetary system by themselves. I am always drawn to them, spinning them around to see which countries still exist and which have changed their names. And no matter the state of the world I find, whether one pre-or post Yugoslavia or another before Hawaii became part of the United States, I love the idea of having a globe; I just don't have the space to display them in my New York City apartment. 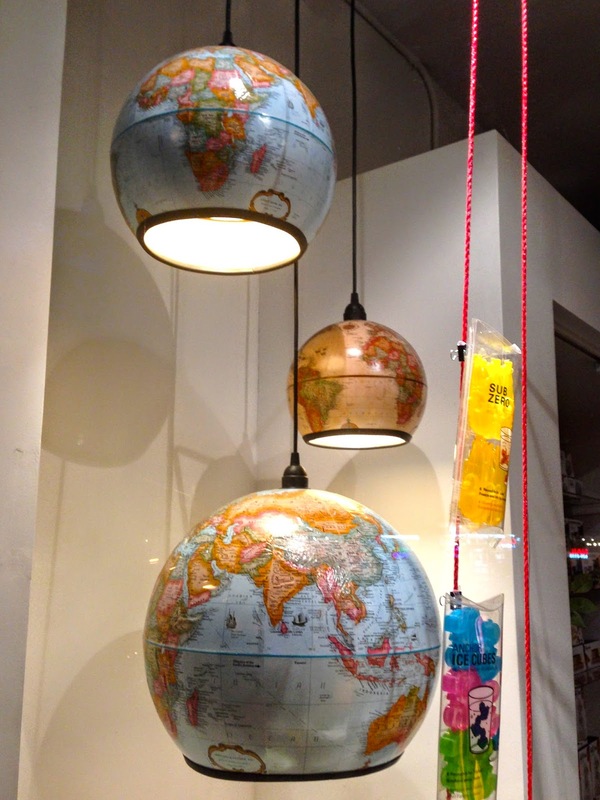 But these new lamps I saw for sale in the West Village Kikkerland Store inspired me to think about how to transform a vintage globe into a pendant lamp. 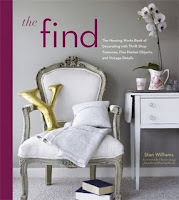 First, I'd buy a hanging fixture, such as the Hemma cord set at Ikea for $5, and drill a hole right through the North Pole, just big enough to slide the cord through and catch at the the opening to hold the lighting element. Next, I would take a lightweight hack saw and cut off just about 1/8th of the entire globe on the opposite end, aligning my cut just below The Tropic of Capricorn.